With all the hoopla about the passing of world’s greatest technology dictator and reality distortion master last week (okay, and the greatest tech visionary of the last 20 years, but’s who’s counting? ), it appeared that, once again, Steve Woziank got buried under the praise for his short-time partner, Steve Jobs. A bunch of news stories appeared today on how The Woz was first in-line to buy the new iPhone 4S. Not because he “had” to buy it himself, but because he “wanted” to buy it himself. He still gets that organic thrill from buying some kind of cool device for the first time. The Woz has always been a tech geek, and always will be one. His early success with Apple simply allowed him to live out his technology fantasies, unabated, for the rest of his life. 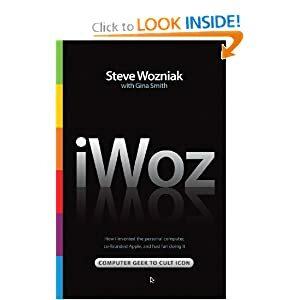 Wozniak “wrote” a book a few years ago named iWoz, and it’s a fascinating read for many reasons. Most of it was “dictated” to a writer, and because of this, it reads like a stream of conscious from a brilliant mind. Stories are told several times, or out of order then back-tracked, and re-told. Details are left out, then filled in. Emotions are absent, then laid fore-bare for everyone to see. It’s like no book I’ve ever read, and far from being confusing and frustrating, it was also one of the most enlightening biographies I’ve ever read. It’s obvious to me that Steve Jobs and Steve Wozniak represented the Yin and Yang of Silicon Valley: The masterful public showman vs. the private technological genius. While I truly appreciate the that the former role is the one that makes fortunes and builds egos in the technology world, please excuse me if I identify with, and ultimately build my list of personal heroes, out of the latter.